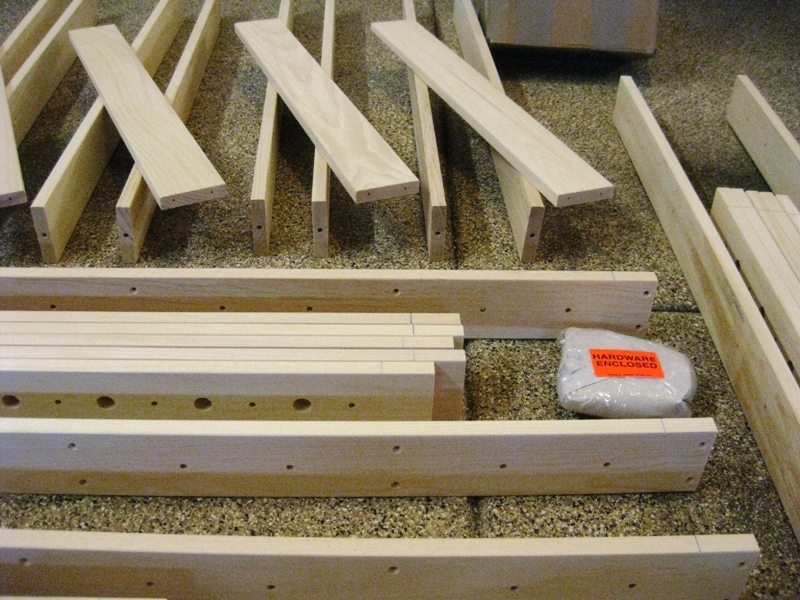 The Sievers Benchwork order arrived just before Christmas, much to the chagrin of the poor UPS delivery person that had to carry the heavy box of wood. 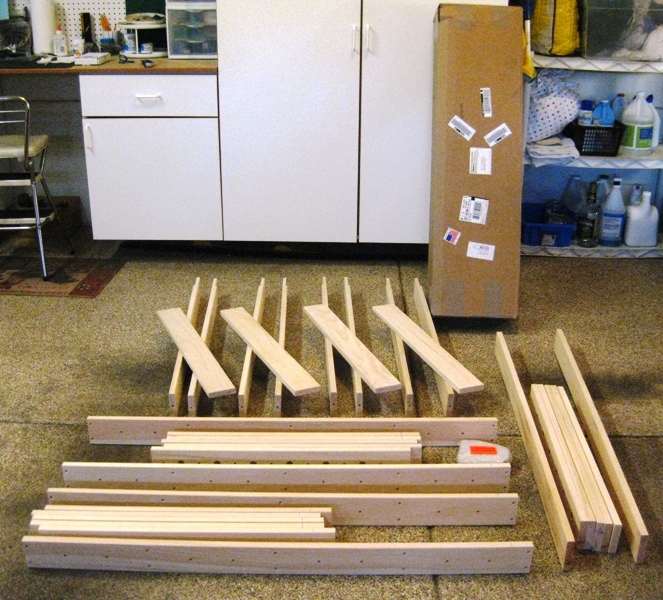 Earlier today I unpacked the wood and arranged the pieces according to legs (four of them) and modules (three of them). Notice the box that contained all the pieces. 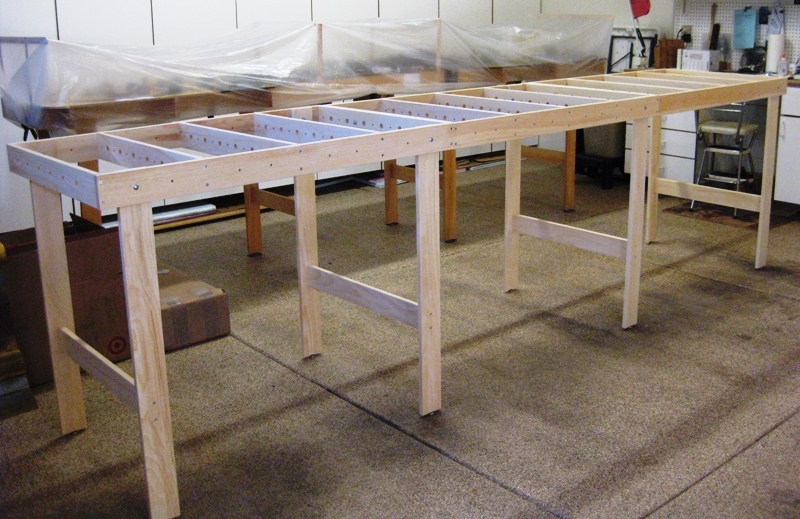 Looking closer at the pre-cut pieces, you’ll notice they are pre-drilled and countersunk for the attachment screws. They are also pre-drilled to allow the routing of wiring underneath the layout. All necessary attachment hardware is included, pre-packaged in bags for each leg and module. 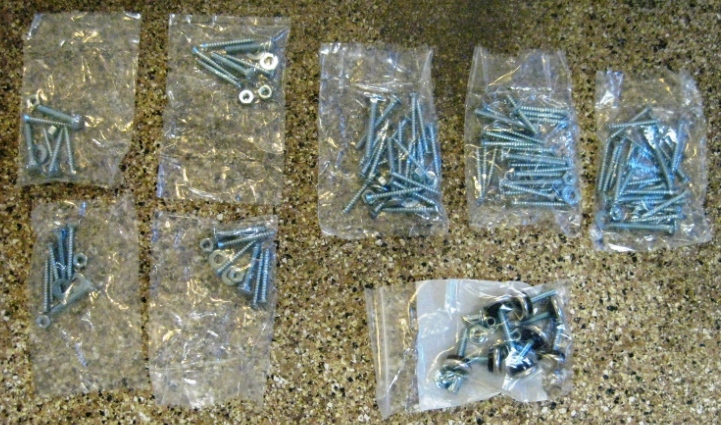 There is also a bag that contains the t-nuts and leveling feet to be inserted in each leg. The one additional purchase I will make is to replace the hex nuts with wing nuts. This makes it easier for module set-up and tear-down between shows. If you were using Sievers Benchwork for a home layout that didn’t need to be moved, using the included hex nuts would be sufficient. Now that I’ve checked to make sure all the parts are on-hand, I can start assembly of the legs and modules. An electric screwdriver or power drill makes this go faster than using a hand screwdriver. And just under an hour later I have everything assembled! Next I’ve attached the legs. The leftmost module gets two legs; the middle and rightmost module only need one leg each. Finally they can be bolted together to form the final 30 inch deep by 12 feet long layout. 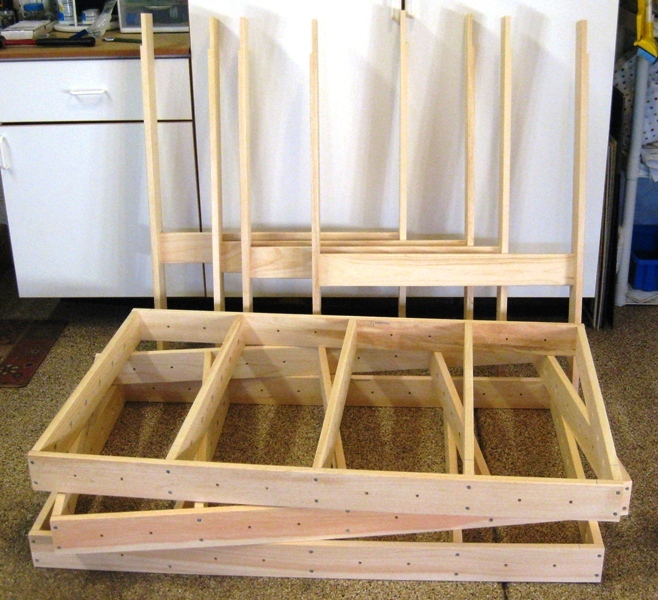 I’ll attach the plywood tops another day and paint the legs and modules so they look good when displayed at shows. Immediately behind the new frame you can see my personal N scale layout (currently covered in plastic) also built using Sievers Benchwork components. Tune in again for our next installment, track laying and wiring. 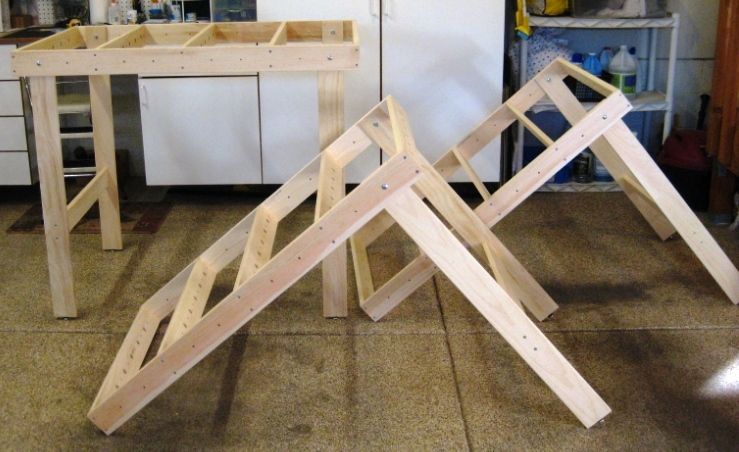 – Phil S.
Nice to see what a Sievers Benchwork package looks like. Thanks for including all the photos.